The Japanese government is considering unparalleled counter-measures to withstand the inevitable earthquakes and tsunamis awaiting Japan in the future. Experts propose preparation of emergency government offices in the country’s five major cities. ­One of the main anti-earthquake emergency measures proposed by the Central Disaster Prevention Council is a recommendation to be ready to transfer central government offices, as well as the Bank of Japan and other facilities, in case Tokyo is devastated by a tsunami. 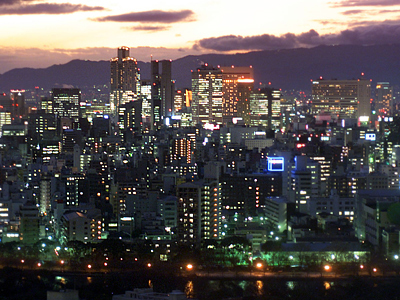 The country’s major cities, Fukuoka, Nagoya, Osaka, Sapporo and Sendai are recommended as suitable substitutes because they already have some governmental facilities and branches of the Bank of Japan, Kyodo reports. As of now, the alternative headquarters of Japanese government and the Prime Minister’s office are located in the Tachikawa district in western Tokyo. The emergency residence is ready, but since it is located a mere 30 kilometers from central Tokyo, it would also be affected by a serious earthquake should one shatter Tokyo. The panel’s recommendations also include preparing temporary public and private shelter facilities for those commuting to work from different regions. The Great East Japan Earthquake of 2011 revealed that commuters working in Tokyo became stuck in the city after transport communications went out of order, making it impossible for them to return home. The panel is expected to present the final report on anti-earthquake measures by next spring. 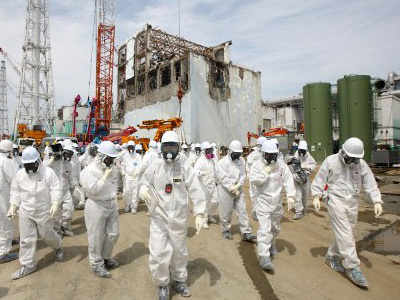 In the meantime, it has become evident that the Japanese nuclear power engineering experts largely ignored the threat of an above-average tsunami. Almost a quarter of a century ago, Nobuo Shuto, a professor emeritus of tsunami engineering at Tohoku University, warned that an unanticipated large-scale tsunami could destroy safety barriers and reach a nuclear reactor. The reaction to that report at the time was largely negative, with Shuto ostracized and blacklisted by many. 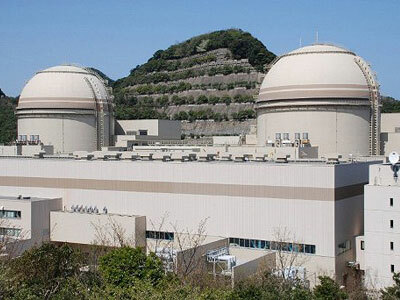 However, the report now proves to have been based on sound reasoning, as Japanese Disaster Prevention Minister Masaharu Nakagawa admitted Saturday that the breakwater around nuclear power plants was not high enough. For example, the breakwater of the Hamaoka nuclear plant is prepared for a tsunami of up to 18 meters high, whereas according to latest calculations, a 21-meter tsunami could hit the region. The major danger threatening Japanese shores might come from the Nankai Trough in the Pacific, a zone of the Pacific Ocean seabed located off central and eastern Japan. According to old estimates, a powerful quake in that zone could potentially create a tsunami over 20 meters high. 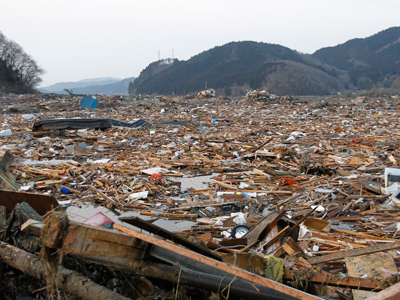 But summing up the data obtained after the devastating earthquake in March 2011, an expert panel under Japan’s Cabinet Office came to a conclusion this April that a magnitude-9 earthquake could cause a 35-meter tsunami that might eventually hit Tokyo. Some districts of the Japanese capital would face a 30 meter wave, whereas urban areas of the city would be hit with 3-meter waves. The panel also re-calculated the possibility of a tsunami wave for various parts of Japan’s eastern shore, particularly those that host the now offline nuclear power plants. The conclusions are unfavorable: the height of the anti-tsunami concrete breakwaters around the stations is not enough to withstand high-magnitude earthquakes. 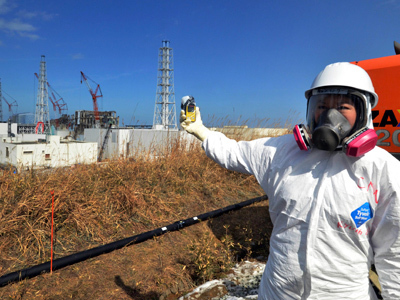 The situation is exacerbated by the country’s continued reliance on nuclear power. 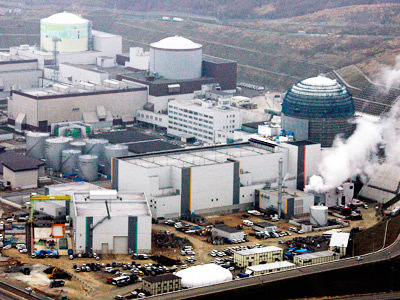 Last year, the government decided to reduce the nation’s dependence on nuclear power, and had all of its nuclear reactors shut down by this May. 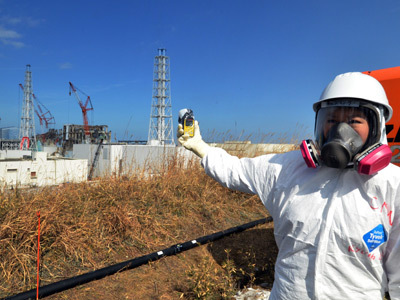 Nevertheless, the resource-scant country restarted the southwestern Ohi nuclear power plant just over a month later, despite protests and public wariness towards nuclear energy. 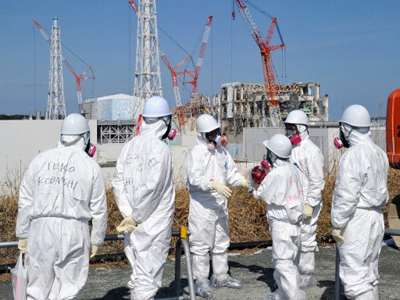 This means that a catastrophe similar to the Fukushima tragedy could happen yet again.